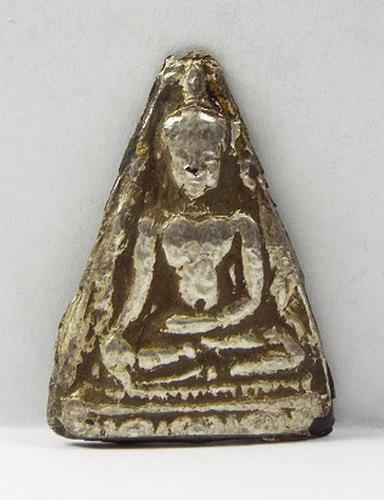 Antique Silver Sukhotthai Amulet.A carved votive amulet is covered in sheets of pure silver. 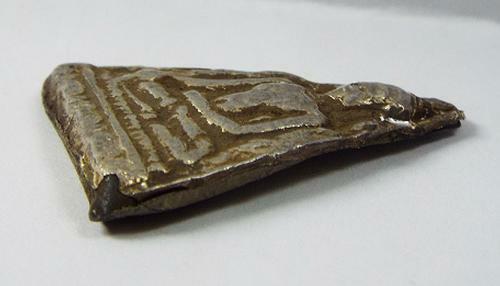 The silver sheets are shaped around the votive then delicately hammered to bring out the details. The statue was recovered from a collapsed stupa in Chiang Mai, Thailand. 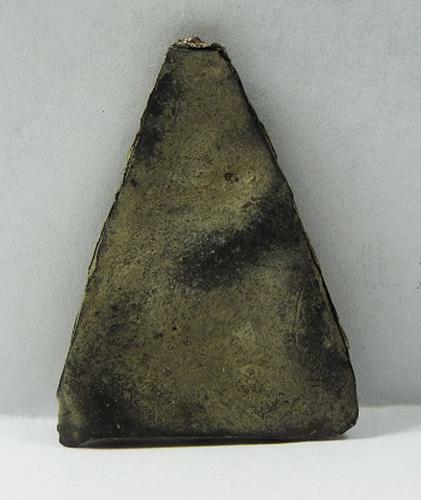 Stupa Is a very large cone shaped religious monument filled with the ashes of spiritual enlightenment monks consecrated and blessed amulets and small religious relics. A one of a kind piece. Measurements: 1 X .75. Inches. A rare and fantastic Artifact of Southeast Asian history.